For high-end clients who desire custom specialty design, mixed specie custom drawer boxes are the perfect option. You can choose contrasting wood species on the sides and ends to help highlight the custom dovetail joinery, or you can select a contrasting top lip specie to add an extra touch of class. You can also combine mixed specie options with through or traditional dovetail options to help your cabinetry stand out. View our mixed specie drawer box options below, then reach out for a quote on your next job! This drawer box offers a unique look that is designed to have a top lip that contrasts the sides of the drawer box. An example would be; maple sides with a walnut top lip. The lip can be on 2 sides (sides only) or all 4 sides (sides, front, and back). The standard lip height is the thickness of the sides. For a drawer box with 1/2″ thick sides, the height of the lip would be 1/2″. 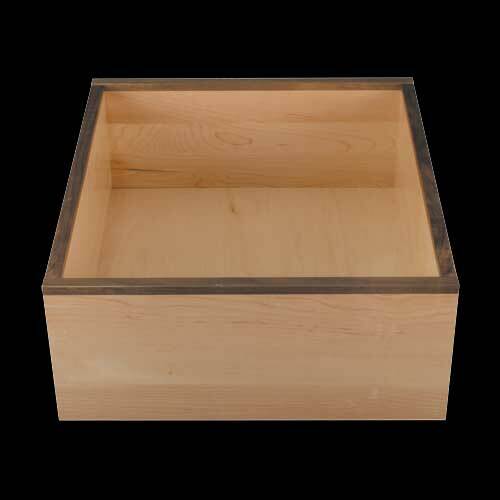 For a drawer box with 5/8″ thick sides, the height of the lip would be 5/8″. This drawer box offers a distinctive high end look that has a contrasting specie on the front and back of the drawer box. An example would be; maple sides with a walnut front and back. 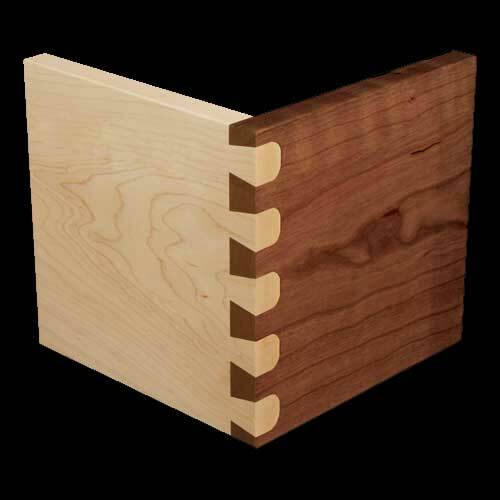 This look highlights the dovetail joinery, whether it is a half blind or through joint.